During the dry season, January through May, it seldom rains, and in the evening, temperatures can drop to as low as 65 degrees Fahrenheit. 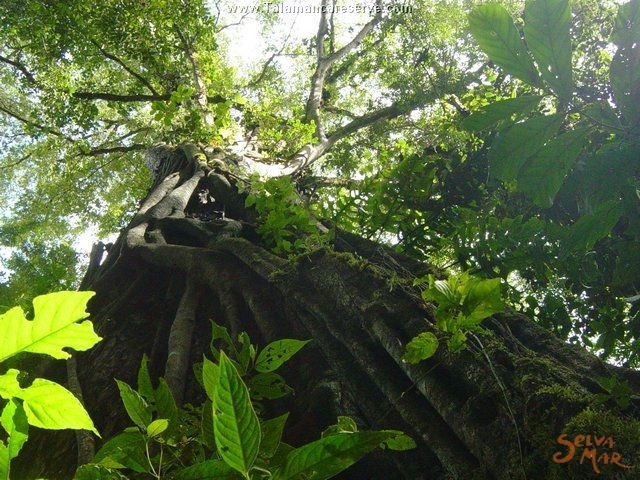 Days can be very hot, but not in the forest, where temperature will range around 75 degrees. 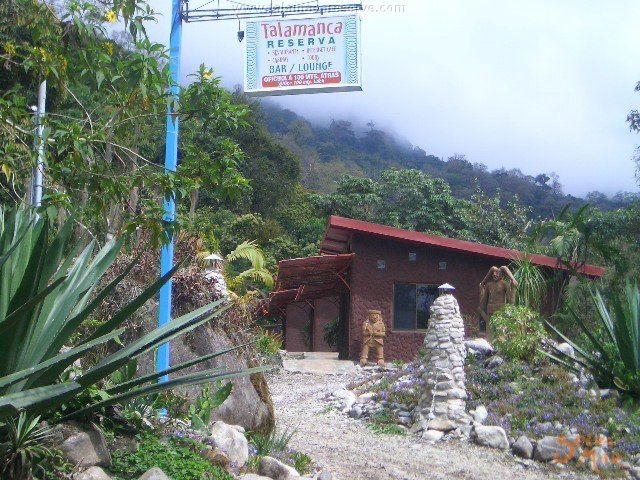 The Talamanca Reserve is mostly forest and becomes denser annually as flora grows very rapidly because of the twelve-month growing period. Dinner and visiting in our comfortable restaurant, and it's early to bed and early to rise (as you wish). A sweater may be needed at night, and rain gear is needed during the rainy season. 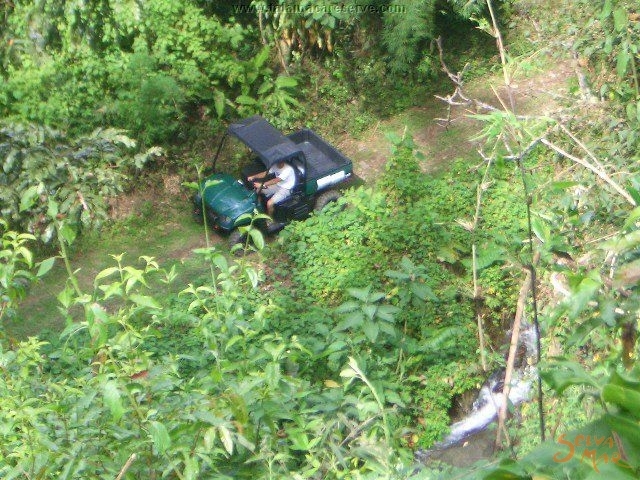 ATV riding (if desired) is very limited during the rainy season, but transportation is available to the high sights for hiking. There are miles and miles of inexplicable beauty. 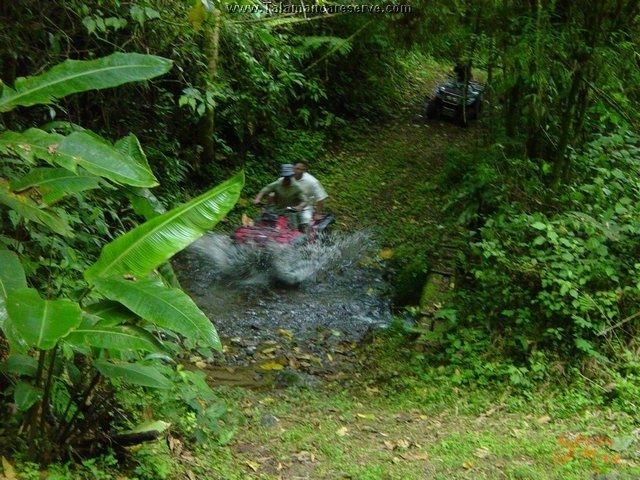 Walking tours, or ATV tours* are available. The ATV’s are new, automatic, and very easy to use. Guides will be with you at all times on the ATV trails, or you can hoof it through the paths with a guide. And of course, there is always the National Park, Chirripó, to climb (the starting path is just about 1 kilometer from our gate). Advance reservations are necessary. Natural thermal baths available in the area. Now, for you older big cruise ship travelers! 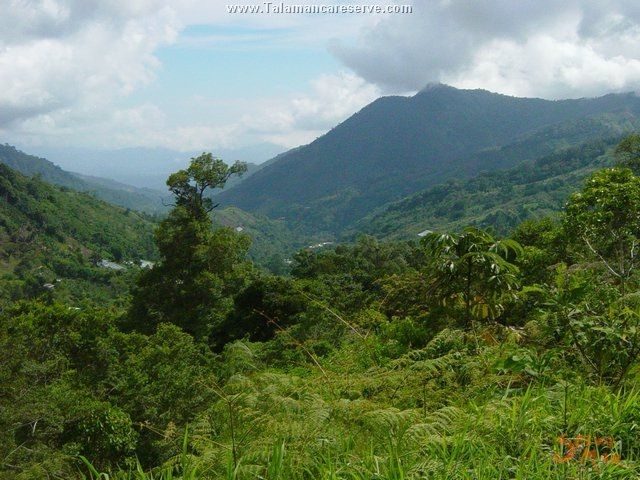 You think you can’t walk the mountain trails or wander though the jungle? Well here is your chance! I’m seventy-nine years old and I can hardly walk from arthritis; yet, I wander up the mountain paths and through the jungle practically every day. How do I do it? Most easily and comfortably, with an automatic shift ATV. I’m as able and agile in the mountain jungle paths as a twenty year old. It is truly incredible how these machines have changed my recreational time. instructions; and, in just a few minutes, we are on our way. Our property is unique. It has taken us over sixteen years, by hand, with crews of men to dig out these fabulous trails in the mountains and forest to make them ATV accessible. internet, and an excellent restaurant and bar. 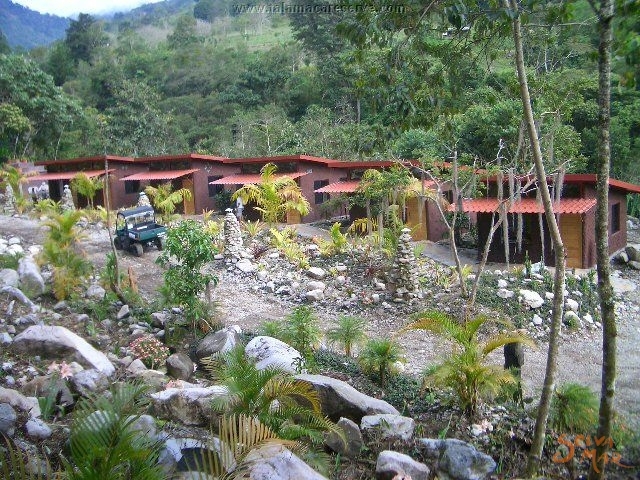 Ten modern efficient cabins all with private bath, hot water, double and single beds. Cots are also available. 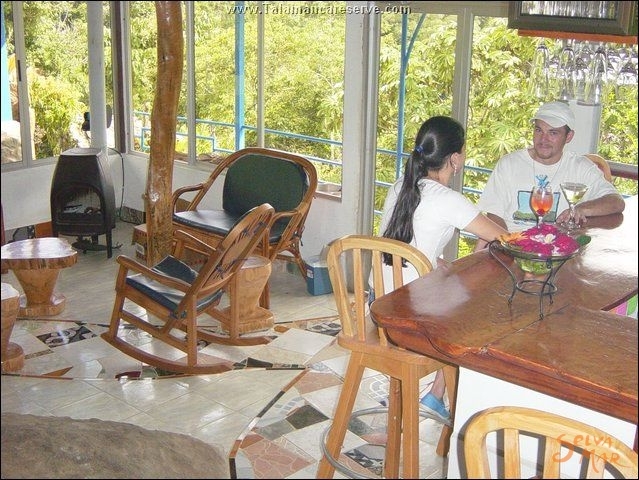 The cabins are set in a beautiful garden area and are very private. The restaurant is very attractive, large but comfortable. There is a quaint bar, lounge and a fireplace. Books and magazines in English and French are available. From the second floor of this beautiful restaurant, one can look out over the mountains for miles of unbelievable beauty (as if the gardens surrounding the restaurant aren't enough). 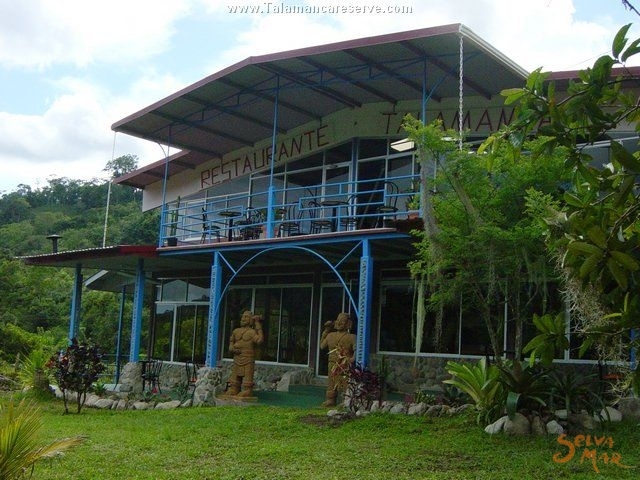 The cuisine is international and the finest in the area, prepared by professional chefs (who by the way are comfortable in English and of course their native language Spanish). A friendly attitude exists throughout the Reserve. We are dedicated to preserve what nature has given us. We do not permit any hunting of animals, nor picking or gathering of plants . We believe that through tourism we can preserve and extend the natural beauty of the wonderful diverse flora and fauna in this fine country. The cutting of forests for cattle grazing and farming these mountain slopes is unproductive; devastating to our earth and is not in the best interest of the local people , for they can (as we are trying to show) profit more though eco tourism. 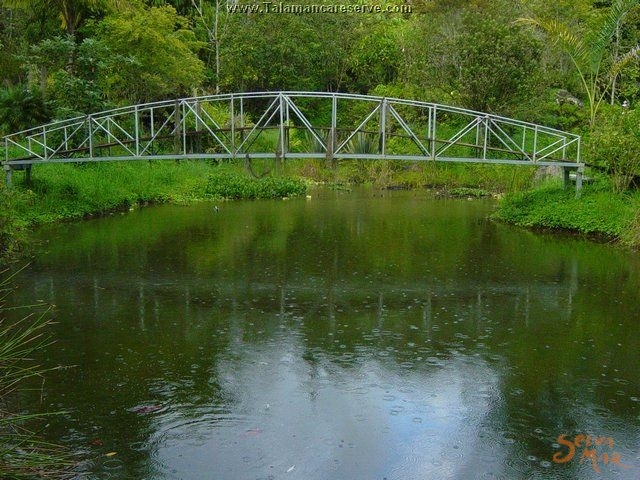 Miles of paths, guided tours to water falls, orchids, bromeliads, and ageless forests. 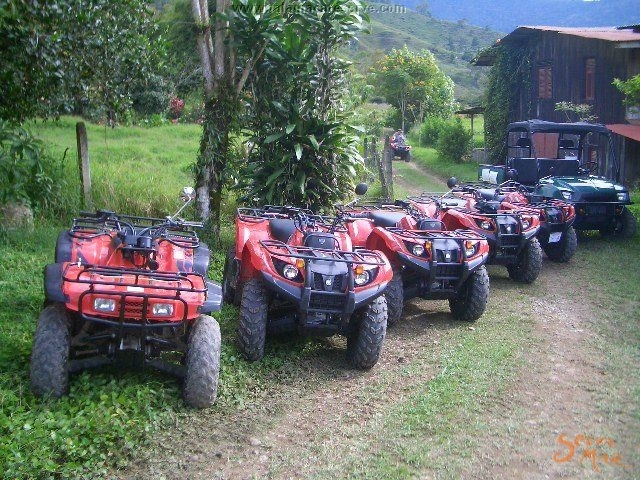 Hike or rent automatic shift deluxe ATVs to make a mountain walk a dream. Birds, ferns, animals; come see for yourself! * ATV (All Terrain Vehicles). 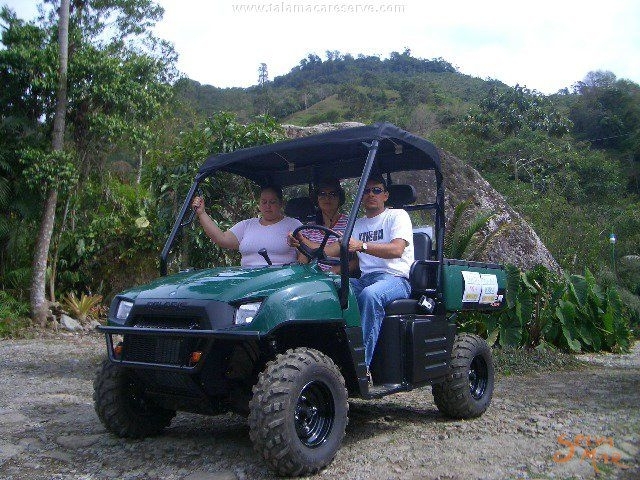 Our ATVs are new, automatic and very easy to use. Professional guides will be with you at all times. 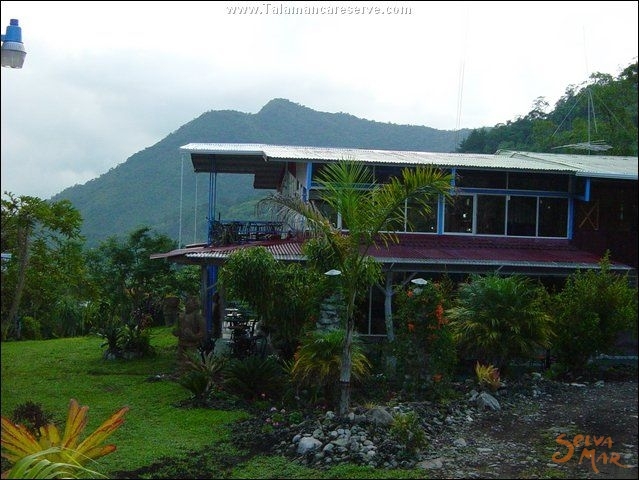 You will be able to see the rain forest and beautiful water falls. From teenagers to eighty year olds, your age is not a problem. Guides will give you the simple instructions and in just a few minutes you will be on your way. Fun for the people who like to walk. 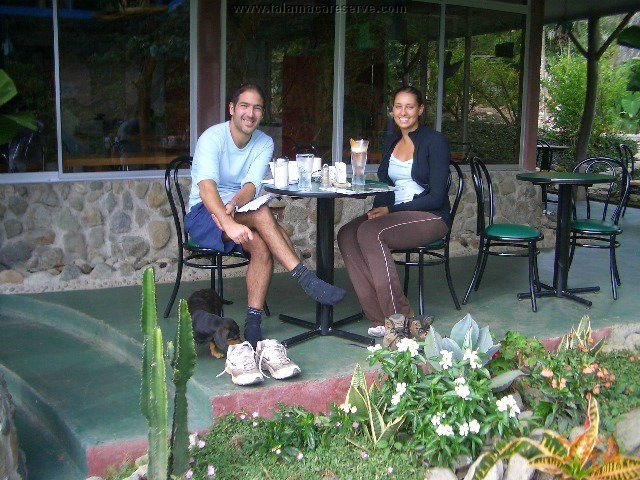 We have many different trails that will take you to various waterfalls and you will see an extraordinary variety of flora ( hugh old growth trees, new growth trees, bromeliads, ferns, and orchids). Birds and butterflies are abundant and maybe you will see occasionally a wild pig! a goat! or other strange animals! or a white face monkey, or maybe a howler monkey. Its always exciting to see a wild animal in its natural habitat. We may not always know the name of the species, but we will try to give you the true name. All tours include a professional guide. $35 small group (large groups quoted at site). 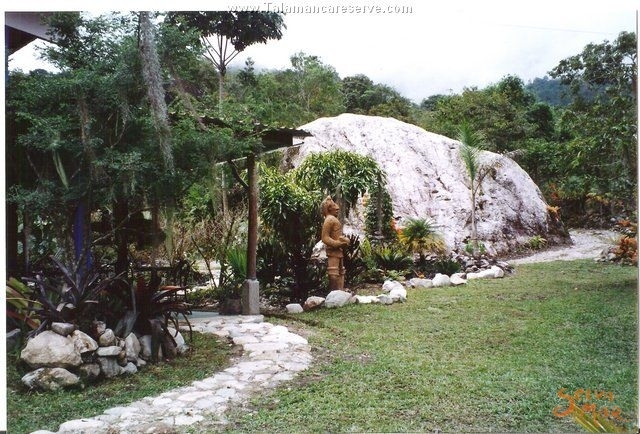 Surrounded by nature, coming right out of the earth are healthy healing thermal waters. Just the right temperature for an invigorating hot water bath. $30.00 per person. 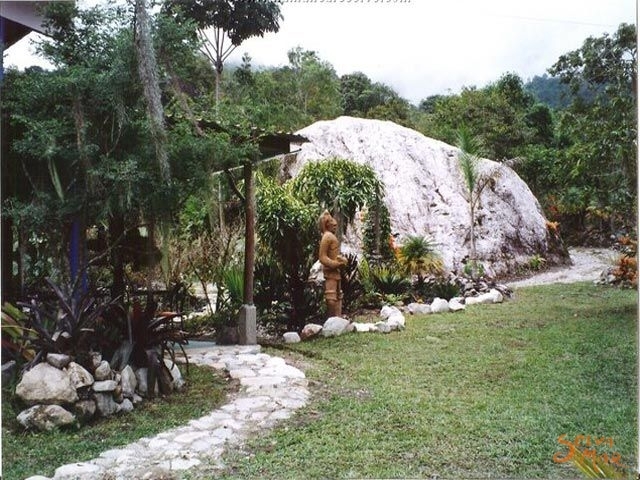 Located in San Gerardo de Rivas, Pérez Zeledón.